Nokia has had a tough time coming up with a hugely successful high-end device and instead has taken the path to cheaper and more affordable smartphones for the masses. 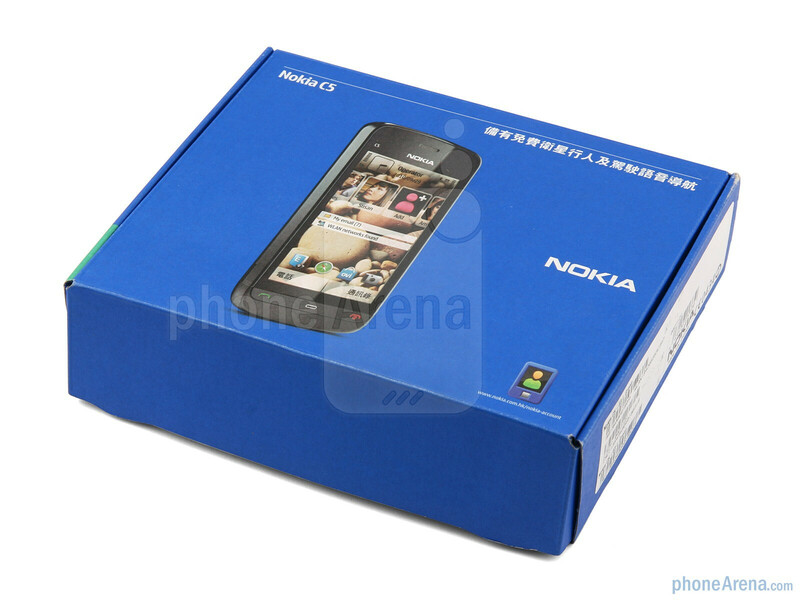 The Nokia C5-03 finds its place at this exact spot as it fits in the mid-range segment of Symbian smartphones. 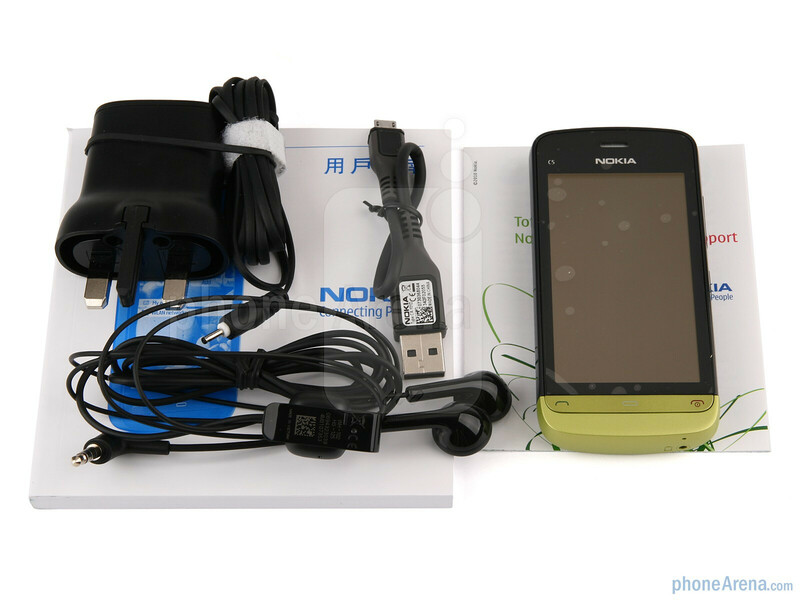 The phone is a close copy of the Nokia C6-01 spec-wise and promises a full connectivity package with 3G on board and free navigation and maps by Ovi. On the negative side, however, the Nokia C5-03 saves on both capacitive screen in favor of resistive and on Symbian^3 in favor of the now officially ancient Symbian^1 aka Symbian S60 5th edition. 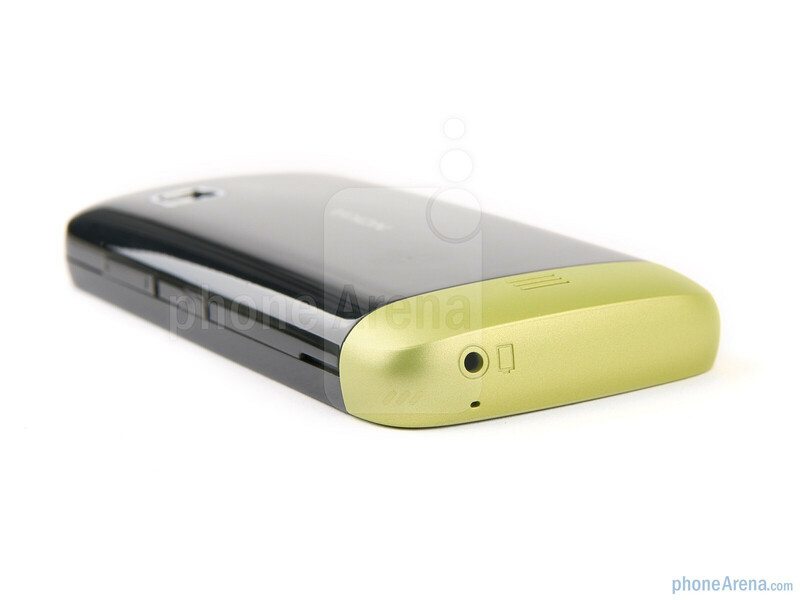 The Nokia C5-03 comes with a 2GB microSD card, but you can use cards with up to 16GB of memory. Included in the retail package is also a charger, user guides and one of the shortest microUSB cables we have seen so far. 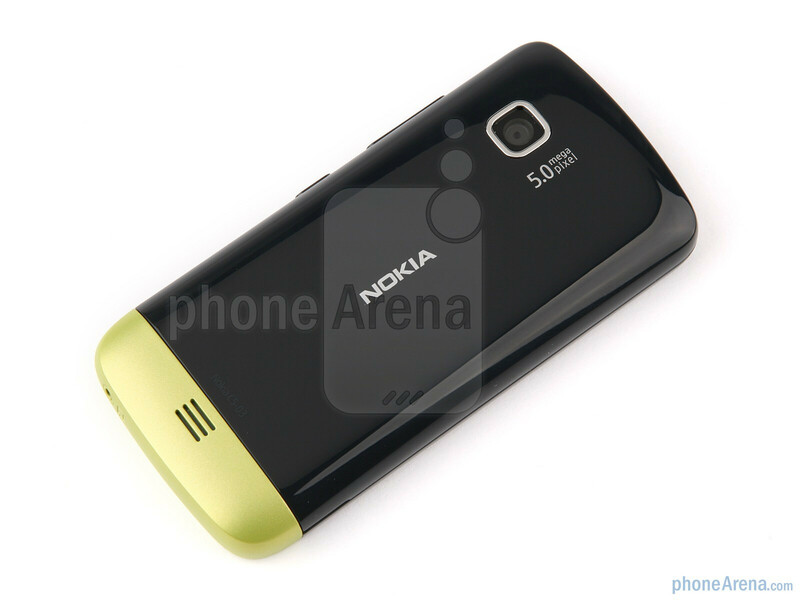 The Nokia C5-03 is light on your pocket. And we mean it light as light in money, and light as 93-gram light in weight, which puts it somewhere in the top of our list of flyweight smartphones. 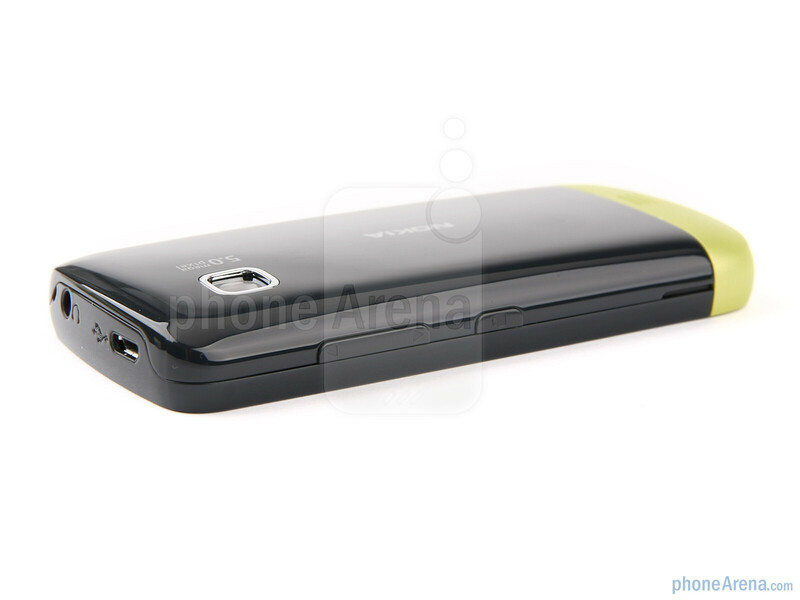 The phone comes in a variety of color combinations with black or white choices for the body, which can be then paired with different colors for the bottom part. The variety of looks comes bundled with eco-friendly materials – 80 per cent of the body is recyclable, while half of the packaging is made from recyclable materials. 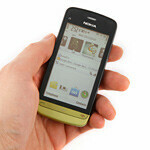 You can compare the Nokia C5-03 with many other phones using our Size Visualization Tool. One thing you might not notice in the beginning is that around the edges, where the screen meets the casing, seems to be a minimal distance, just enough to collect all sorts of garbage. Apart from this issue, the phone feels a bit like a toy, but still with no moving parts and good build quality for a mid-range device. 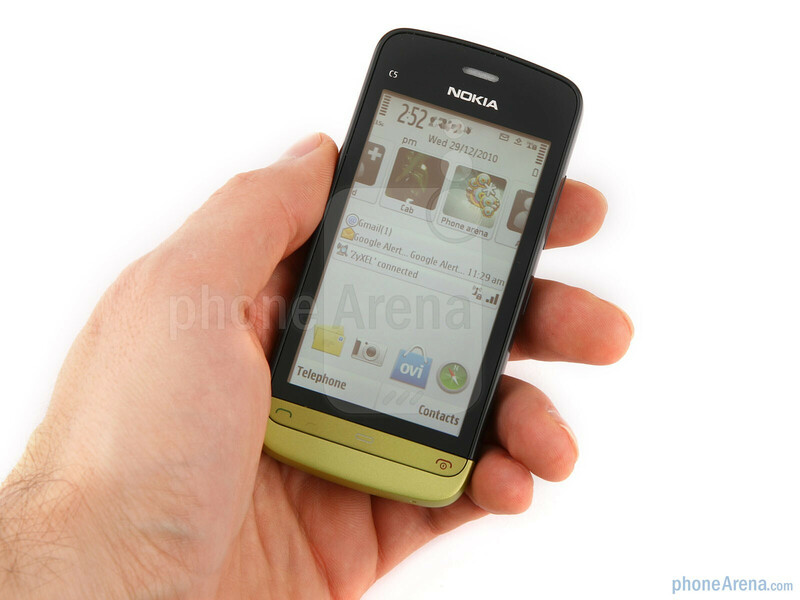 And speaking of affordable handsets, the screen is where budget played big and Nokia went with resistive technology. This undeniably ruins some of the fun of the otherwise pretty 3.2-inch screen, which boasts a resolution of 360x640 pixels. We pumped up the brightness to its highest level, but that still did not help much in direct sunlight where legibility suffered seriously. On the back you will see a glossy plastic cover, which is a fingerprint magnet and you will find yourself wiping it out every now and then. 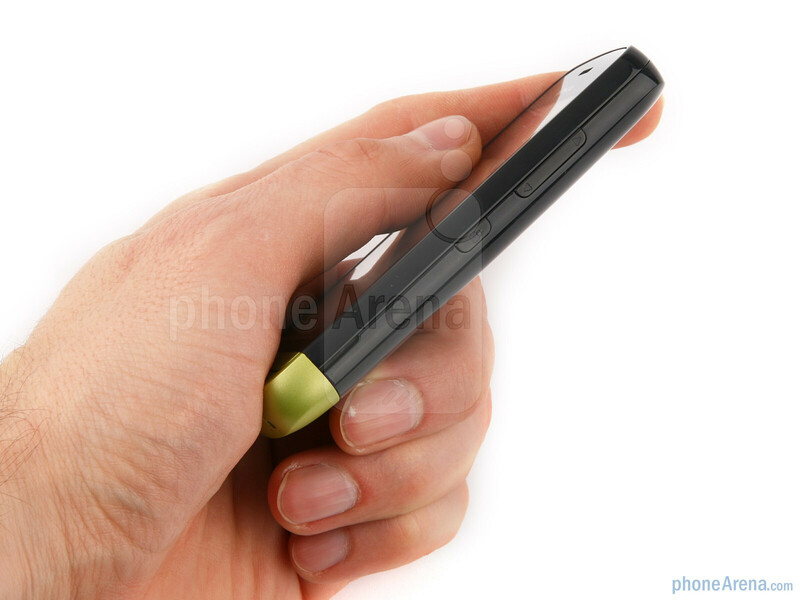 What really defines the phone is the bottom part which stands out with its color and three physical buttons. 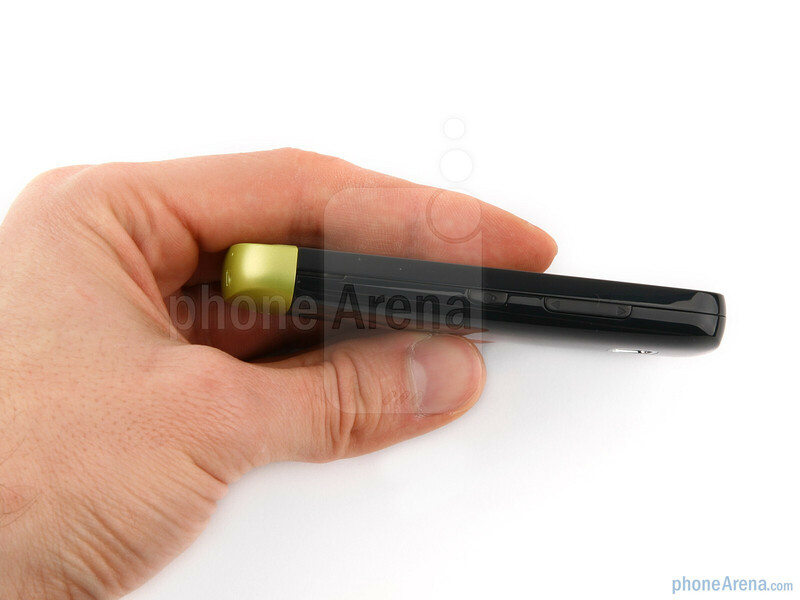 We appreciate that Nokia sticks with physical keys, which give a solid phone feel to the device, something we have been missing even on high-end handsets. 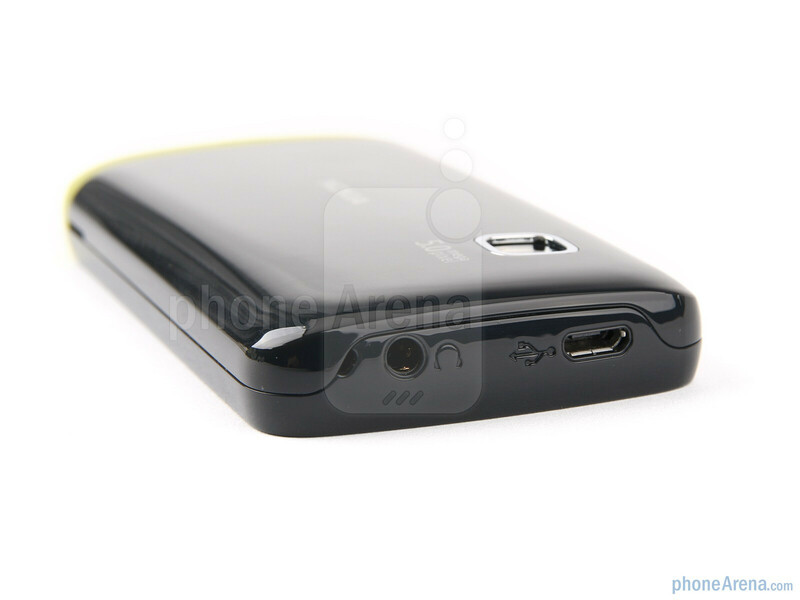 Just behind the plastic back cover lies a 1000 mAh battery, which promises up to 11.5 hours of talk time. u dont even know 'abc' of these phones..........press and..hold the thing u want to delete, a pop up menu appears...with delete and other options.!! it has 2 delete options: one by long pressing the file(appears a menu that looks like PC right-click) and the second one is from the quickoffice app. I have a c5-03 since january 2011 and it works very well. I have 2 recommendations: microSD >4GB, stereo headset for noisy environments. Quickoffice upgrade for Office editing and PDF reader are strongly recommended. What result about that cell phone ? Will I purchase ? I have purchased this C5 03 but not used till. I have read comments about frieds and thiks about to back the same. May I return back? i cant turn off my phone's(C5-03) wifi. whenever i plug my wifi router my phone automatically get connected with it. if i disconnect it automatically get connected in a few seconds. i have 2 stop it by deleting the 'Access point'. How can i make it manual- i mean whenever i want 2 connect it i can do it by myself & whenever i want it 2 b disconnected i can do it by myself. HOW CAN I DO IT? PLZ SOMEBODY HELP ME!!!!!!! How do I do smiley faces with my texts? How 2 activate push mail in this cell ?? Ho Cares about all that with the phones features just read when you buy. Average very good Bu the bastards lie about the battery life that is for sure. not even two days stand by only. I can imagine if i will use it more. 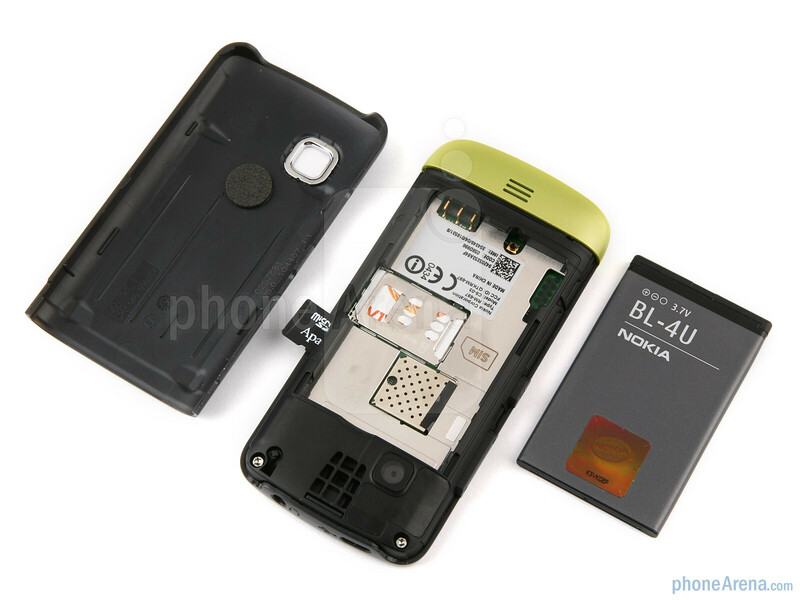 Does Nokia c5-03 works better on t-mobile or AT&T? 1) the fone has no flash fr the camera.. one o the biggest drawbacks being frm the given price range. 2) ther's no xtra camera button to the side like the other phones.. makes it difficult for self photography. 3) whil multi choosing hv to go to options nd then mark all every item which makes it irrtitatin considering that lower end phns had a dirct mark option. apart from tat the phone is good.. nokia shud look into these lil things the customer must hv tho.. This is the worst phone I have ever owned. Has just 75mb of ram, so constantly crashes. Terrible screen, rubbish software. No wonder Nokia is losing out. This phone is garbage. Awful battery life (after 4 months, it lasts only 4 hours! ), slow, slow software, and buggy too! I had to remove the battery too many times just to turn the damn thing off. Lots of freezes too. Even when hanging up calls! 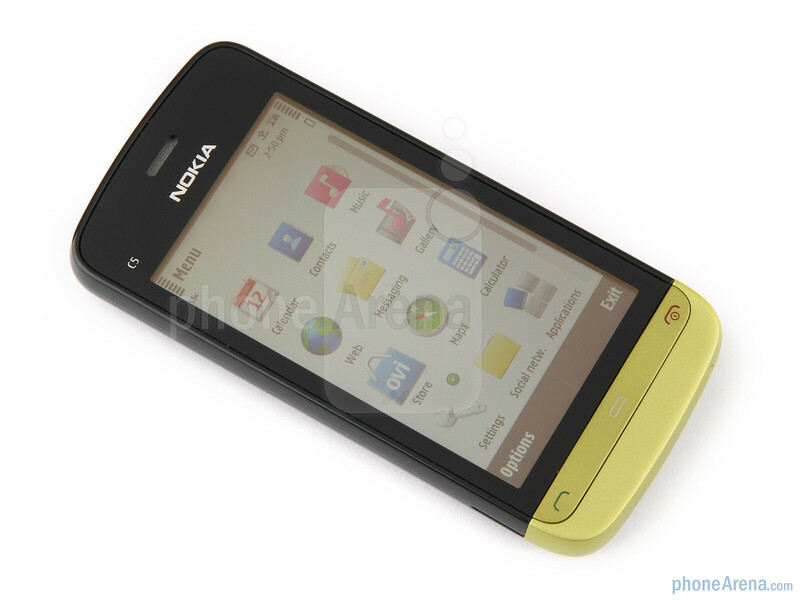 If Nokia will still making phones like that, i'll change to another brand. i got this this phone about 2 month;s ago abd it's working fine ... i didn't get any problems .